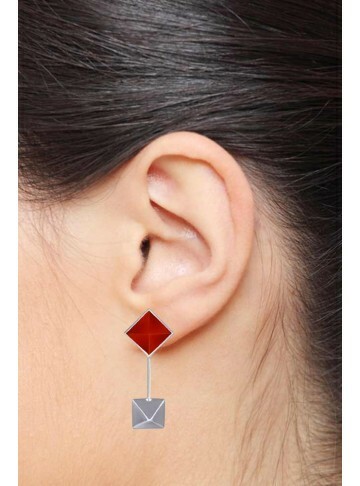 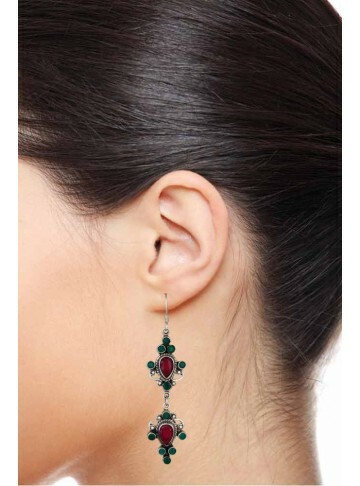 Truly a stunning piece with a touch of elegance, this deep red agate earring with a hanging prism drop can be your go to earring for a party or a date. The perfect earring for someone who likes to look out of the box. These silver earrings are handmade beautifully with branches at the bottom. Funky and stylish, these earrings are sure to make heads turn. Truly a stunning piece with a touch of elegance, this yellow agate earring with a hanging prism drop can be your go to earring for a party.